A ten-story, 152,000-square-foot hotel tower, plus a three-story, 59,000-square-foot parking garage. The hotel structure is a two-way, post-tension flat plate system. The garage is a clear span, post-tension girder and one-way slab. The project also includes an elevated pool and terrace deck overlooking Downtown Nashville. 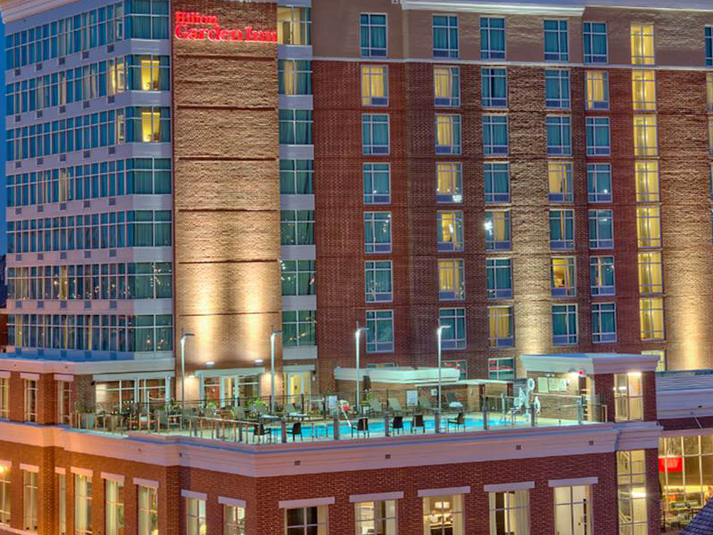 Kansas City’s Dual Marriott Hotels Aiming for July Opening!